This contest is closed. Lisa is the winner. I hope you’ll come visit again next week for my giveaway with the fabulous Larissa Ione. Everyone loves the chance to win a good book, right? 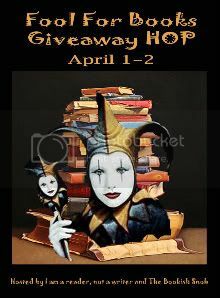 The Fool for Books Giveaway Hop features more than 200 blogs which are giving away books or gift cards in a two day contest that runs Friday April 1st through Saturday April 2nd. To win the books, all you have to do is tell me your favorite book genre in a comment below. The contest is open to Red Hot Books followers in the US & Canada. So make sure you’re following before you enter! The contest will close Saturday, April 2 at 10:00pm CST. 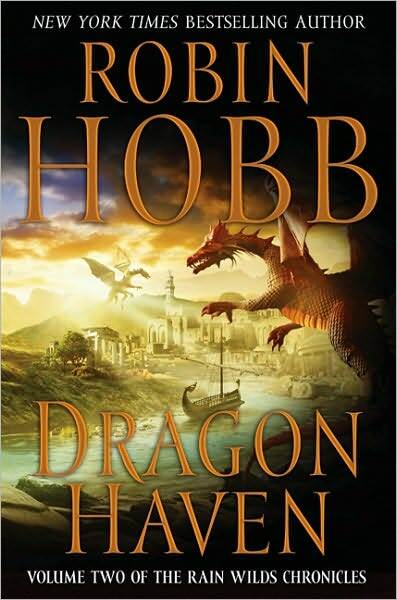 I want to say I’ve read something by Robin Hobb before…. Noooo please don’t make me pick just one there are so many awesome ones lol I love a lot I really do. I also love your man candy gif which if I may say is extremely yummy. I’m pretty evenly split between sci-fi and fantasy. I read fantasy far more than any other genre, though I’m also a fan of science fiction as well as some more mainstream fiction. Robin Hobb is one of my all time favorites and I constantly recommend the Farseer trilogy to anyone who will listen. My favorite types of books are paranormal/sci-fi/fantasy. But I like reading all kinds of genres! Thanks! 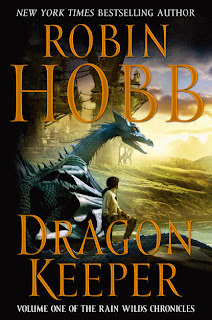 I’m primarily a fantasy reader, and pretty much like anything from low fantasy to epic fantasy. Thank you so much for the giveaway! I love fantasy. Epic or urban, doesn’t matter. If it doesn’t exist, I love it. Thanks for the giveaway! I’m a huge historical fiction fan, so that would definitely be my favorite genre of books. I love reading though, so I’ll try anything once! My favorite genre right now is paranormal. My favorite genre is paranormal!! Thank you for the great giveaway. I have a hard time saying just one genre: I bounce around to fantasy, paranormal, historical romance, …..
I’m a new follower! 🙂 I’m a big fan of fantasy. My favorite genre is erotica. my fav genre, is ALL, honestly, i jump from one to another, and LOVE to read new to me authors. I love any kind of romance xD paranormal, normal human relationships, faeries and humans, you name it!! THANKS FOR THE GIVEAWAY!!! My favorite genre is fantasy. Thus, these look very interesting to me. Thanks for the giveaway. Thanks for the giveaway and for participating in this blog hop! I’m a new follower via GFC (Bornajhawk). My favorite genre is historical romance but I’ll read anything if it’s good! Great giveaway! GFC follower. My hubby would love these. We both enjoy our fair share of fantasy. LOTR is one of our favorites. Fantasy never gets old. I am a romance junkie myself, but i also enjoy a good fantasy book. My favorite genre has always been fantasy. Do I really have to pick just one genre? Hmm…I guess I would have to go with fantasy. I love mysteries the best but read a variety of books with different genre. My favorite book genre is paranormal. My favorite books are paranormal even though I do read a little of everything. Historicals are probably my second favorite. Thanks for entering me in your contest. Wonderful giveaway! 🙂 My favorite genre is urban fantasy but I’ve got a huge soft spot for cozy mysteries too. I’m a new GFC follower: Kaity Gatchell. I like science fiction and mysteries. I love all books but I am especially fond of Thrillers. Thanks for the giveaway! My fave book genre is YA Paranormal Romance. LOVE your man candy, by the way!! Hmmm… Right now I’ve been devouring urban fantasy/paranormal romance (well, for the last year or so.) Before that I was all over English history and loved reading non-fiction stuff about historical female leaders. I am a new follower – please enter me in the contest! I think my favourites are generally fantasy and paranormal y.a. Thanks for the giveaway! I’m a new GFC follower (Lexie@BookBug). My favorite genres of fiction are YA and LDS fiction. I definitely love women’s fiction. Second choice would be legal thrillers. Scott Turow and John Grisham are favorite authors. Fav gene? well Dragons! Oh, that’s not a genre? To bad… Then Romance: Paranormal, Historical, Fantasy, Urban Fantasy, Futuristic, Time -travel, Si Fi, I just like to see a HEA, this is fiction after all! Of course I read just about anything with a dragon in it. I love YA and Paranormal Romance. Right now, I’m really into dystopian, fantasy, and Christian living (not as lame as it sounds) books. Hi! My favorite genre is YA fantasy. My favorite genre is YA…any YA. And can I just say….love the Man Candy! I hate to commit to just one because I do truly read everything! Usually mystery but really I love variety!!! I’m a new GFC follower -Christine Davis. My favorite genre is contemporary romance followed closely by paranormal. Following you on GFC 😉 thank you for the giveaway.. must hop hop if I want to get them all tonight 😀 my email is swtlilangel4jc at yahoo dot com. MY GFC is Chelsea Rafferty. fav genre is paranormal romance. My fav genre is paranormal romance. I’m a GFC follower and my favorite is YA. Thanks to all of you who entered the contest. Lisa is our winner. I hope you visit again next week for my giveaway with Larissa Ione. I usually tend to appreciate a little fantasy in my books. Thanks!